A fun new format for the youngest Pete the Cat fans: a tabbed board book! 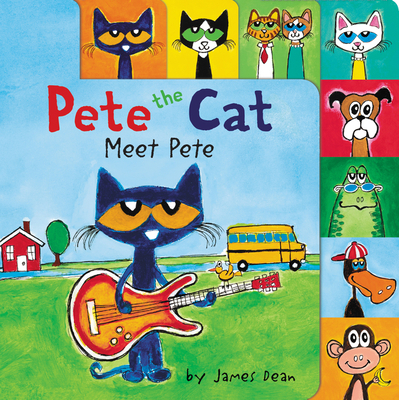 New York Times bestselling author and artist James Dean brings us a brand-new fun format featuring everyone’s favorite groovy cat, Pete the Cat! With 8 colorful tabs, this sturdy board book will introduce the littlest Pete the Cat fans to Pete and his super-cool group of friends, including Callie, Grumpy Toad, Gus, and more. This fun new format is perfect for even the tiniest paws!